A Boy and His Dream has a strong passion for providing our youth means for change. To ensure our success, we keep records of the various positive impacts we've had on communities local and abroad, as well as areas we need to improve. Some of this information is shown here and updated as data permits. For any additional details, please contact us directly. 1. 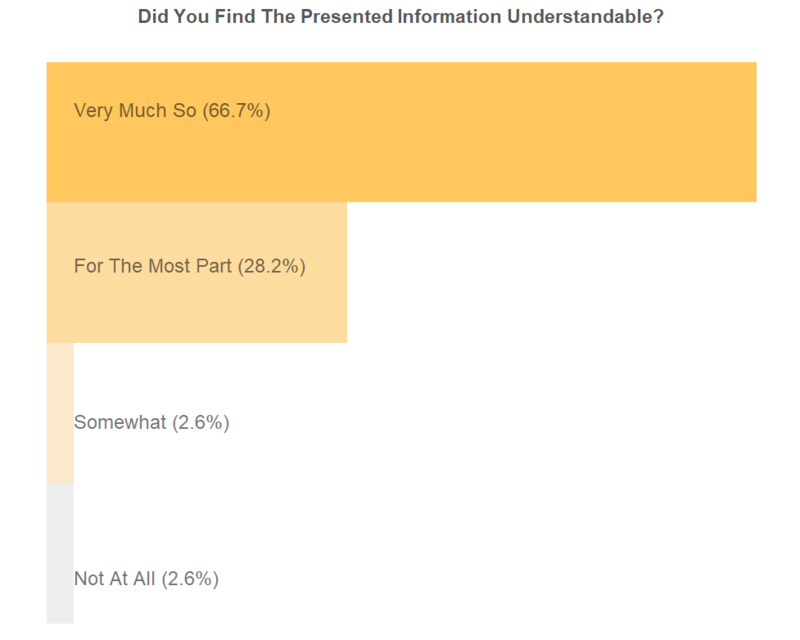 DID YOU FIND THE PRESENTED INFORMATION UNDERSTANDABLE? 2. DO YOU FEEL THE SESSION WAS VALUABLE FOR YOU?